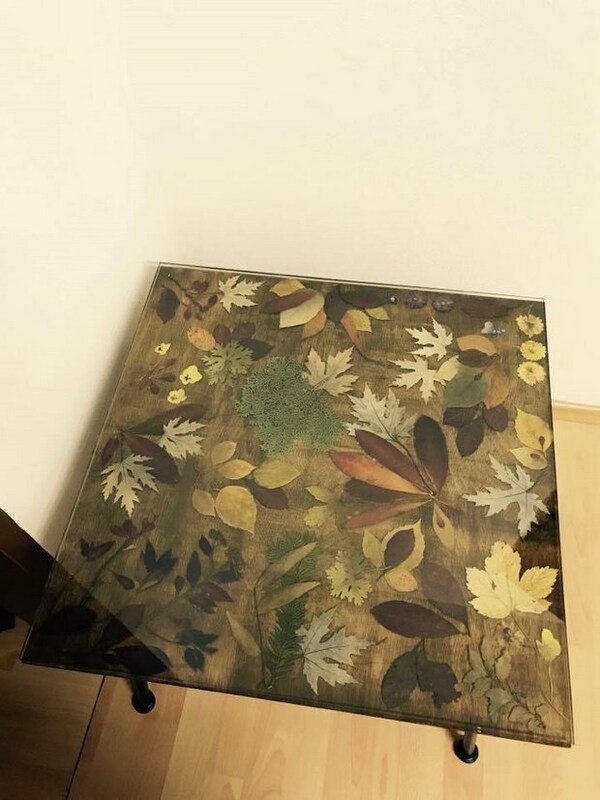 Coffee table makeover: Cool idea for preserving autumn leaves! 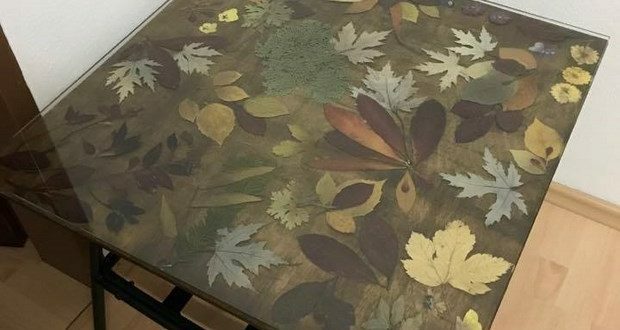 Home » Furniture » This is how to preserve autumn leaves and create an unique coffee table! What would autumn be without its colorful leaves? Unfortunately, they decompose within a short time. There are some methods though for making the autumn leaves more stable and preserve their bright colors for a long time. We’ll give you some tips on how you can dry leaves and then preserve them. 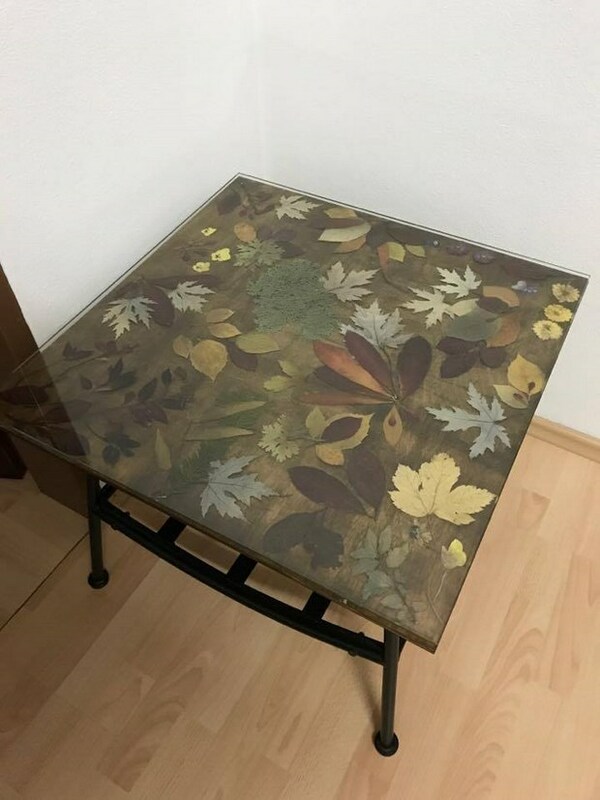 Create a memory of autumn by using dried leaves in your home decor. Instead of framing them and hang them on the wall, you can try this coffee table makeover! 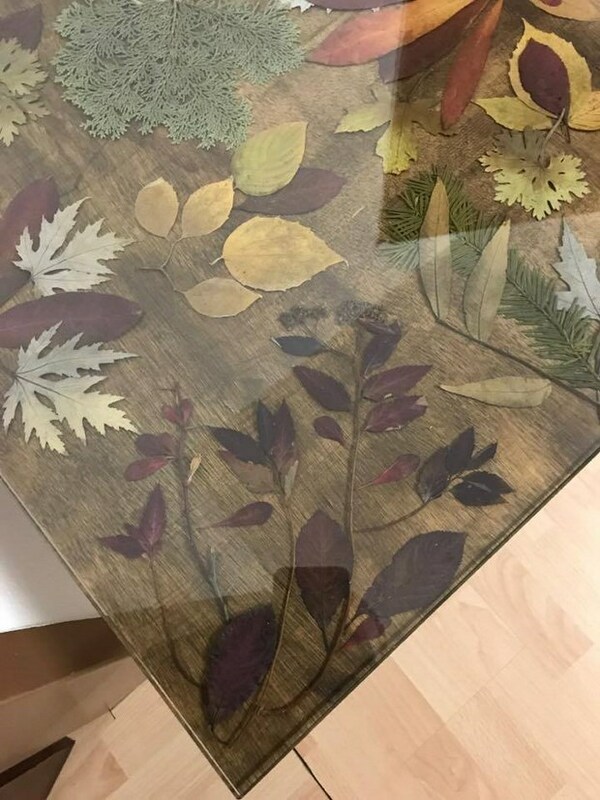 The autumn leaves are pressed between the table and a glass table top! 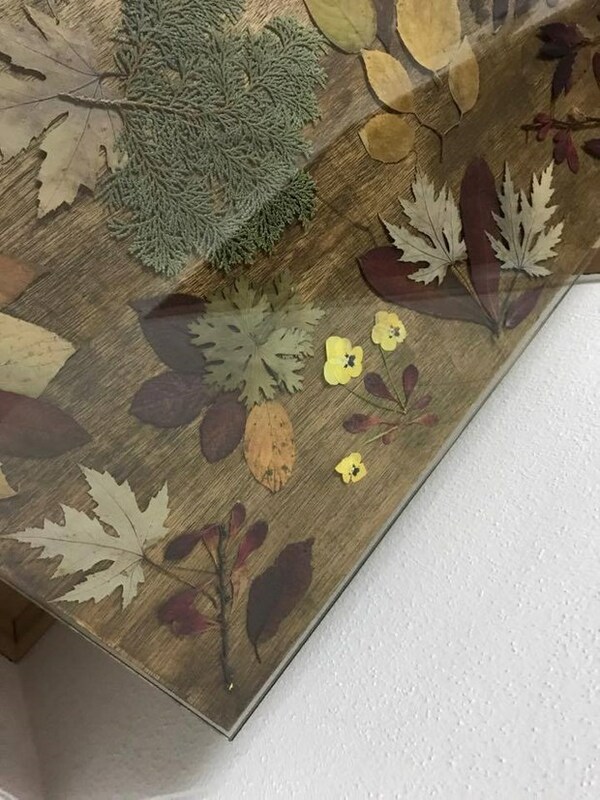 Before you can create your autumn decoration, you should dry the leaves. 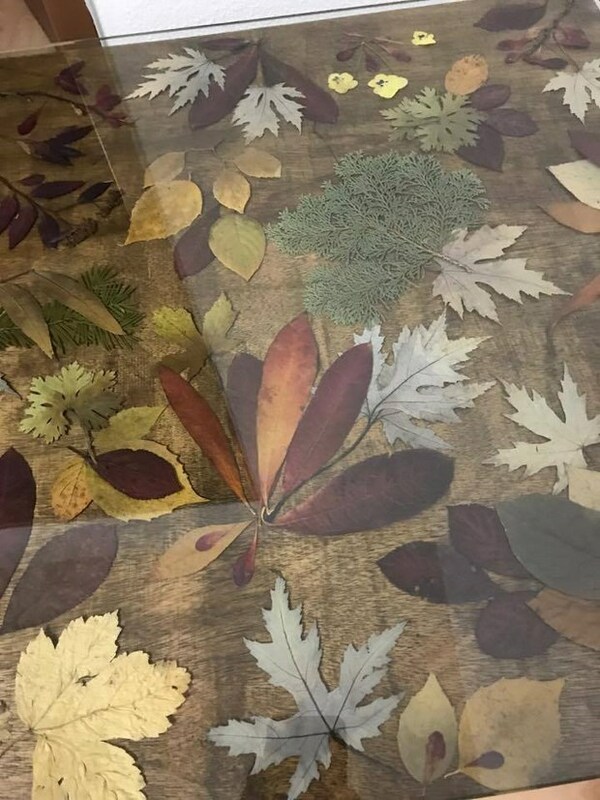 The traditional method is drying autumn leaves in a book by preserving their color. You put them sheet by sheet between kitchen paper or blotting paper and then in a thick, old book. Then stack some more heavy books on top of it. After about 2 weeks, the leaves should be dry enough. The pages of the book may be damp, because they get the moisture from the leaves. Therefore, don’t use new books or novels that are precious to you. Alternatively you can use two pieces of thick cardboard and then put books or something heavy on it. Dried leaves are very fragile. To give them stability after drying, spray with hairspray on both sides. Wait for the spray to dry. In addition, the spray gives the leaves shine. 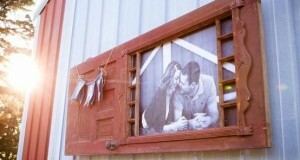 Instead of hairspray, you can also use clear acrylic craft spray. 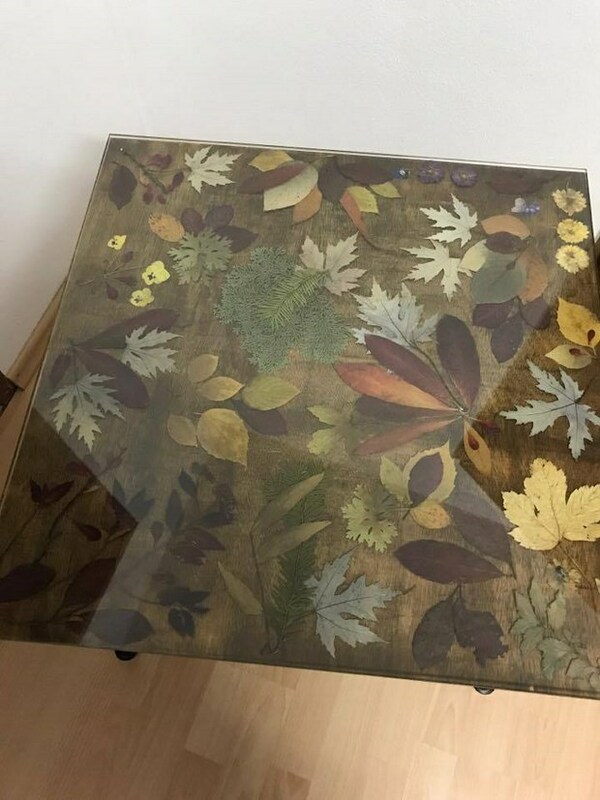 Craft-experienced advise to cover dried leaves with wax. You need wax granules from the craft shop or colorless candle wax. You first have to melt the wax over a water bath. Then carefully dip the pressed leaves into the liquid wax. To avoid burns, wear gloves or use tweezers. Then let the wax layer on the leaves dry, this usually happens in a few seconds. 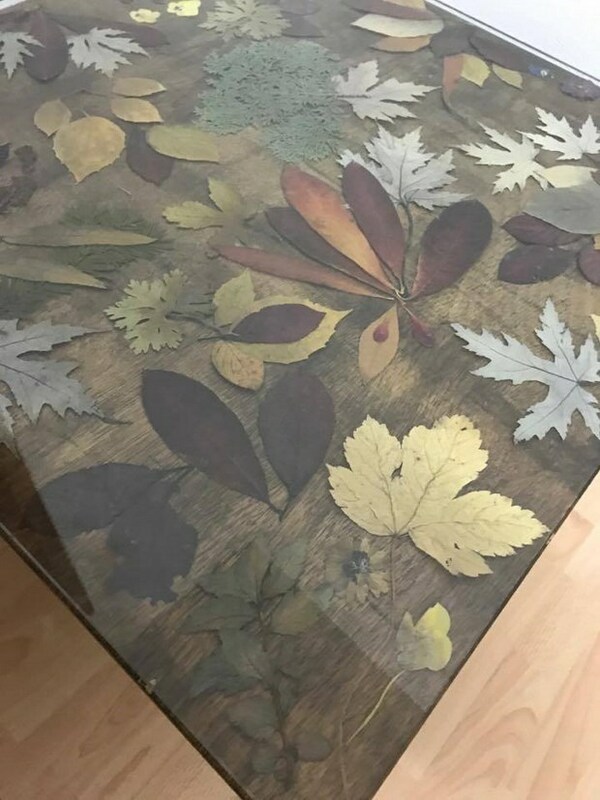 Another method to preserve autumn leaves is glycerine. The advantage of this is that the leaves remain soft and retain their natural shine. You need a branch with young autumn leaves. Cut the end of the branch at an angle so that the glycerin can be absorbed well. Put the twig in vase with a mixture of one part glycerin and two parts water. Leave it for a few weeks and add glycerine-water mixture as needed. After two to four weeks, the leaves have completely absorbed the glycerin. This is indicated by the fact that small glossy drops are formed on the leaves. 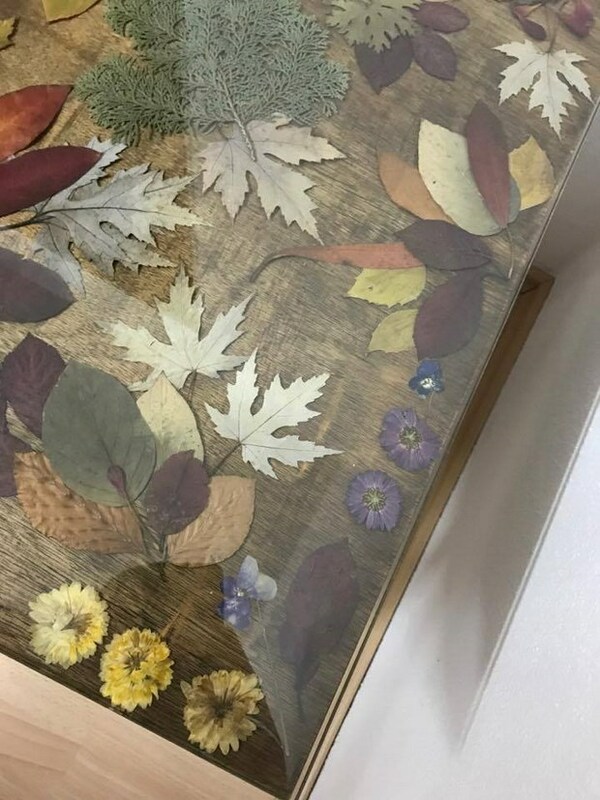 Now, after you have dried your leaves and flowers, you can arrange them under the glass table top. 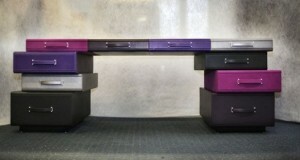 It is such an easy and stylish coffee table upgrade! 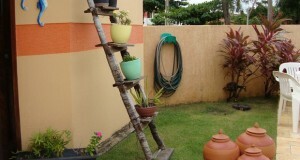 And the best part is that you can change the dried leaves and flowers through the seasons.